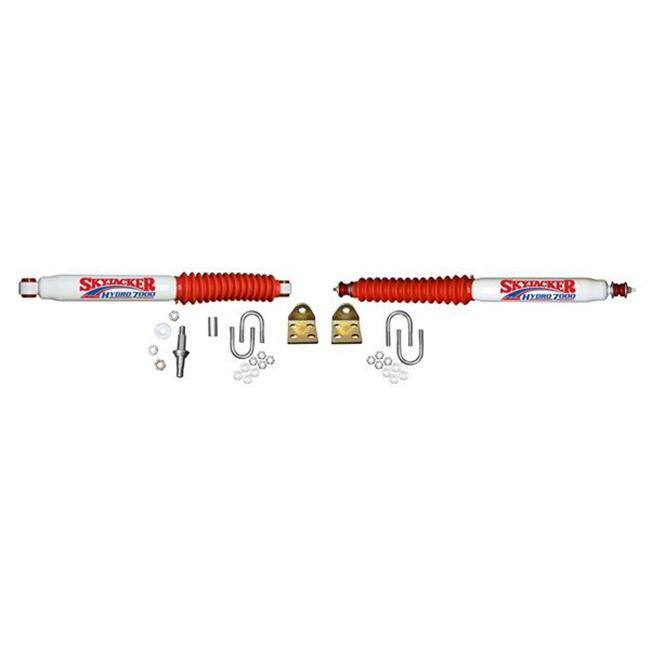 Skyjacker steering stabilizer, A steering stabilizer is a dampening shock for your steering system. It dampens out the harshness of the highway, the 'shimmy' from running the additional weight of larger tires and wheels and places control back into the driver's hands. Stabilizers also reduce the fatigue of the driver on a personal level by reducing the amount of physical strength it takes to guide those larger tires on and off the road.